Tales from the Instro Zone is all over the place, with some cool groovers lke "Pullover Tom Pastel", theremin-infused weirdos like "Saturn Safari", fuzz crashers like "Mata Hari", and I don't even know what to call "Tarantella Tarantinesca". 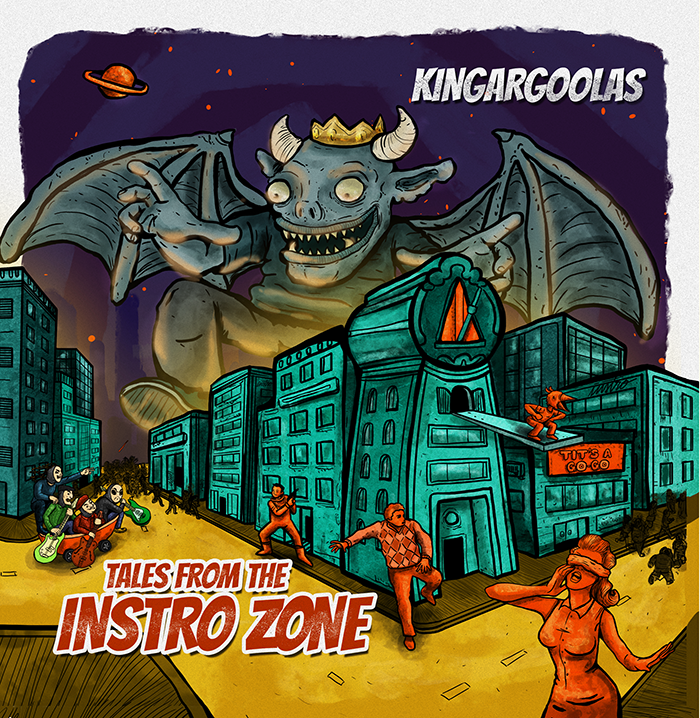 From their self-titled I thought the trademark of Kingargoolas were their unconventional rhythms. That still occurs sometimes, but they seem to have smoothed it out a bit. It's still pretty wild and playful regardless, and still sounds like Kingargoolas.